We’ve broken a world record! 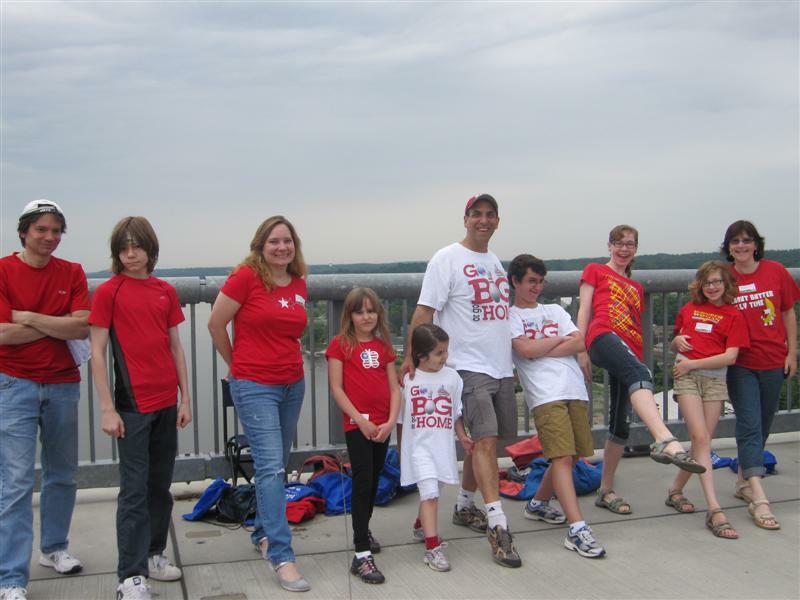 On Saturday, we were part of the world’s longest line dance, the Hokey Pokey, across the Walkway Over the Hudson bridge in Poughkeepsie and Highland, NY. This bridge, by the way, is the world’s longest elevated pedestrian bridge! 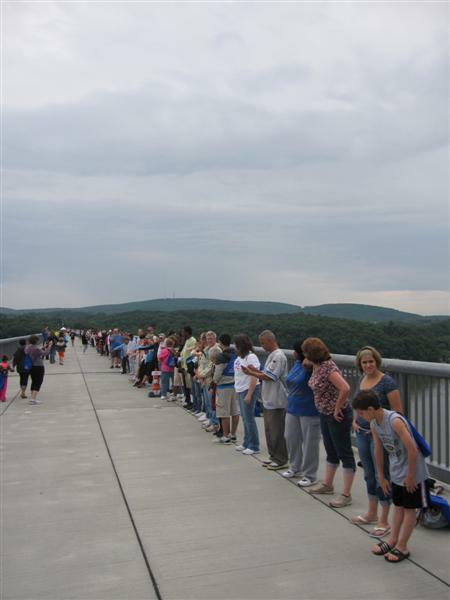 There were 2,569 people stretched across the pedestrian bridge for a 9:30am kick-off. 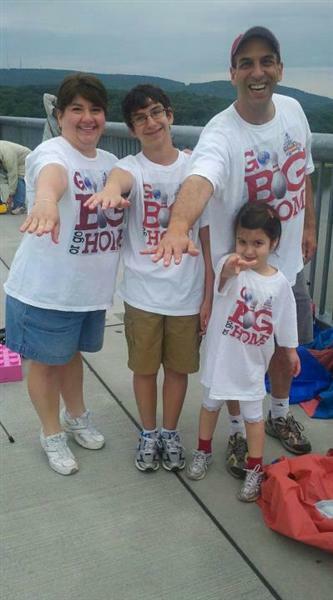 Our “Go BIG” Hokey Pokey team consisted of the four of us, and two other families. I’m so grateful they came out to participate with us, but I think everyone was pretty stoked to be a part of a new world record. The rules mandated that we all dance for five minutes. FYI, five minutes is a long time to do the Hokey Pokey. We’ve spliced this video so you can see the enthusiastic beginning, when we worked out the kinks (which is my right foot?) and the end, when The Boy was particularly exuberant at the accomplishment. The overcast weather held for us. It only started raining as we were leaving for a celebratory pancake breakfast. 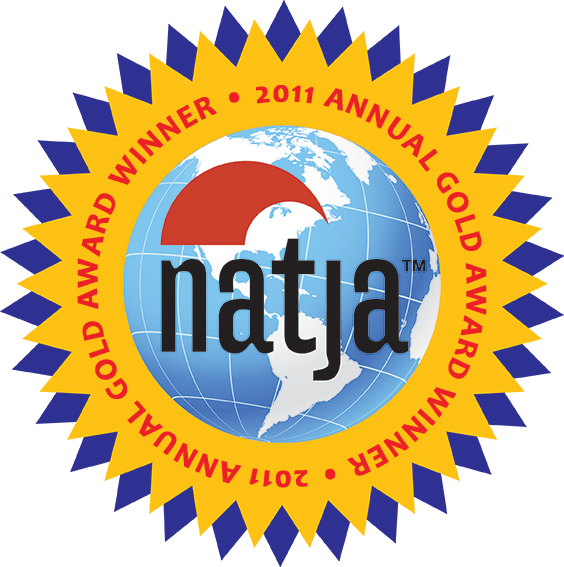 After a half-hour of tabulation, a representative from the Guinness World Records organization authenticated the feat. We had beaten the former record, which was set in June 2008, by more than 200 people! And now I can tell my grandkids that I broke a world record. I can see why some people become addicted to finding records to break. I’m kinda itchy to do this again! What a fun and memorable day! I tried to convince my husband that we needed to participate but to no avail. 🙁 Love your t-shirts! Love this! Traci, I think it’s funny that you danced the entire time with your phone in your hand! 🙂 We bloggers just can’t let it go! I was actually holding my camera, but of course the purpose was the same…get the great shot at any cost! I was afraid to stop dancing though; I didn’t want us all to be disqualified because I stopped to take a photo! What fun! I would love to find something like that to do! This is awesome!! You are officially cool, a World Record! So glad it wasn’t in the blazing sun (or pouring rain)! Congrats guys! Very nice! A world record, on the World’s longest elevated pedestrian bridge. Really covering your bases with this post. Congratulations GBOGH team!!! What a cool experience! Looks like the whole family enjoyed it – and how often can you say that? Oh Traci, this is just way too fantastic 🙂 Love the video. I love that everyone was having fun with it. What in the world are you feeding your son … I swear that he’s a foot taller with each new picture! I stopped feeding him last month when I realized he’s taller than me. I don’t know who is feeding him these days. 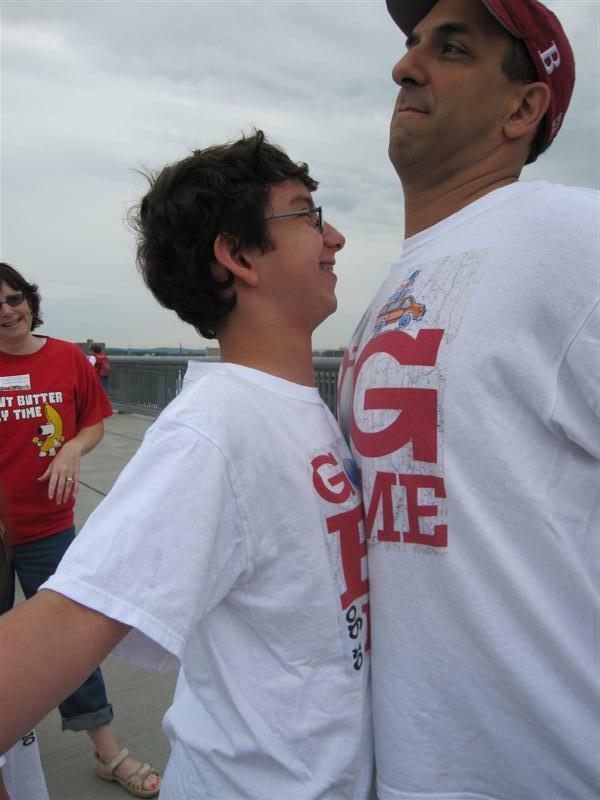 He’s going to be NBA tall pretty soon. This video is fabulous! Five minutes is a long time but you all look like you are having so much fun!